Besides being exciting, arriving in a foreign country can easily make you confused with its rules and regulations. Whenever planning a trip abroad, we are more likely to make a list of interesting attractions than learning how local transport system is organised. 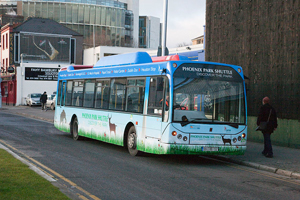 The following information will make you a bit more aware of transport in Ireland. 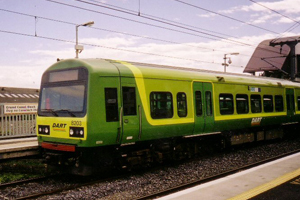 Though Ireland is relatively small, train travel within the country is expensive. The rail network between the Republic’s major cities is limited, so be ready to include a trip to the capital even if you head in the opposite direction. A ticket from Dublin to Cork, for example, may cost up to €70 in the middle of the week. Northern Ireland Railways runs 4 routes starting from Belfast to Newry, Bangor, Larne and Derry. Note that the cheapest deals are available online, so find respective website in advance or monitor prices and book or buy tickets before you arrive. Given the country’s size, flying within it sounds not that necessary but if you’re in a hurry, there are flights between Dublin and Cork, Derry, Galway, Kerry, Shannon, Sligo and Belfast. Most flights won’t take more than 50 minutes. Bus network is far richer than the train one, and even if the national buses are absent there are private operators that compensate that. As you may have already understood, hardly any bus trip within Ireland will last more than 5 hours. Be ready to pay a bit more for less frequent routes. If you plan staying in Ireland for long or taking multiple trips here and there, consider buying a special bus pass or buss & rail pass. Using such pass can help you to save significantly on public transport. Children under three travel for free and the ones under 16 pay half price. Whilst giving you much more freedom and flexibility, car hire in Ireland is quite expensive. Be ready to pay around €250 a week for a considerably small car though with unlimited mileage. Of course, rates differ depending on the season. Most cars are manual and if you want an automatic one expect to pay more. Most hire companies won’t rent you a car if you are under 23 and haven’t had a driving licence for at least a year prior to the trip. While there is no upper age limit for this service in the Northern Ireland, in the Republic one won’t be able to rent a car if aged 74 years or older. Neither mopeds nor motorbikes are available for rent in Ireland. All offshore islands of Ireland are served by boat including Skellig, Aran, the Saltee Islands, Tory and the Rathlin Islands. 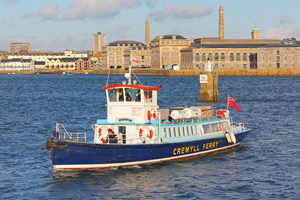 Ferries operate across rivers, loughs and inlets. Ireland’s scenic landscapes and relative flatness makes it perfect for cyclists. Unpredictable weather can always make its amendments to your travel plans but in that case busses and trains may carry bikes for additional prices. Research you travel destination, prepare well and don't forget to buy a travel insurance for your impressions not to be overshadowed by possible mishaps during your holiday in Ireland.